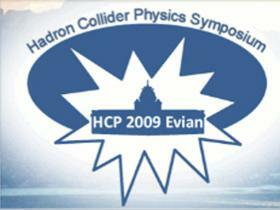 The Local Organizing Committee of the XXth Hadron Collider Physics Symposium invites you to the 2009 Conference. In 2009, the Hadron Collider Physics Symposium will take place in Evian (France), on the shore of the Geneva Lake, from 16-20 November. It is jointly organised by CERN and the French HEP community (CNRS-IN2P3 and CEA-IRFU). This year's symposium will come at an important time for both the Tevatron and LHC communities. It should stimulate the completion of analyses for a significant Tevatron data sample, and it will allow an in-depth review of the readiness of the LHC and its detectors just before first collisions. The programme includes sessions on top-quark and electro-weak physics, QCD, B physics, new phenomena, electro-weak symmetry breaking, heavy ions, and the status and commissioning of the LHC machine and its experiments.